In support of the Paw Justice 'Ride for Justice' fundraising event we are happy to bring you the 'Ride for Justice' armwrestling championships. Open to everyone, big, small, old, young, with separate categories for men, women and weight classes. Test your strength against your mates on an official armwrestling table. 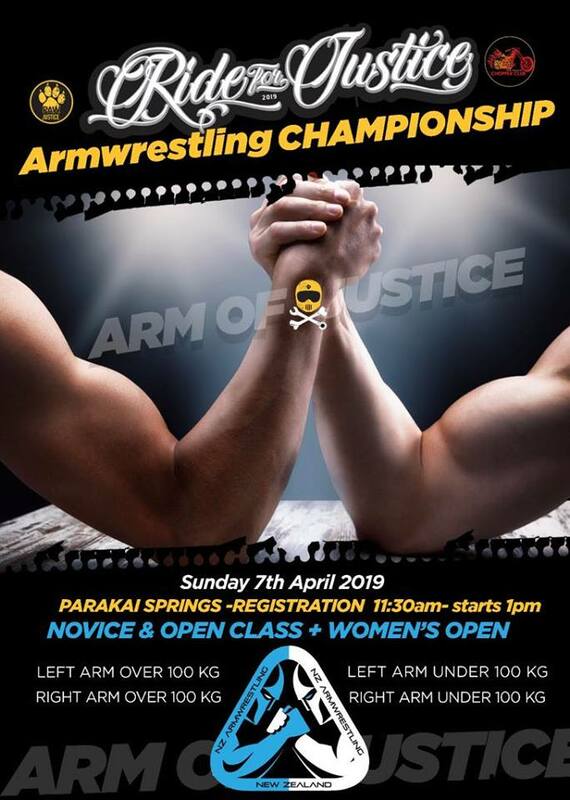 A New Zealand Armwrestling Federation referee will be there to oversee matches and make sure everyone is safe.